Another (See also: Croton Landing – Killdeer) attempt at wildlife photography with a wholly inadequate focal length lens. Again the result is heavily cropped. 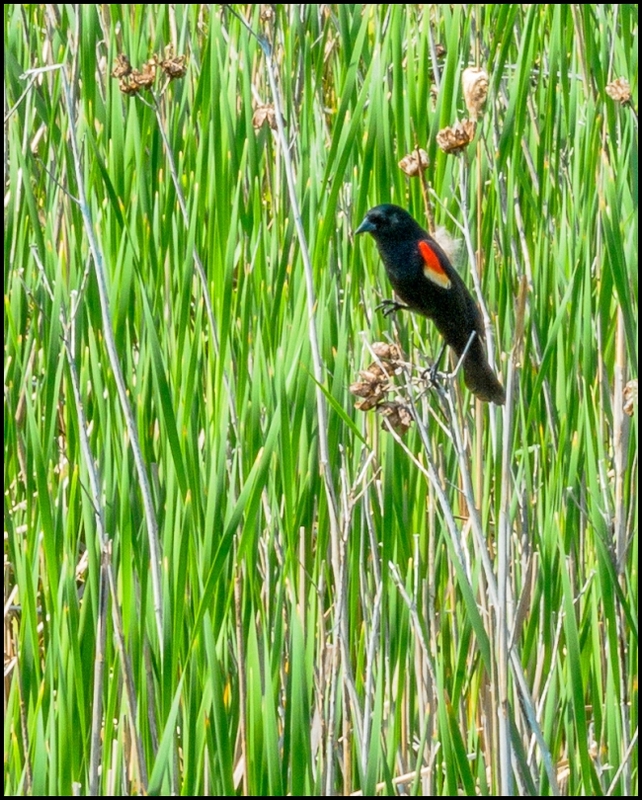 Male Red-winged Blackbirds do everything they can to get noticed, sitting on high perches and belting out their conk-la-ree! song all day long. Females stay lower, skulking through vegetation for food and quietly weaving together their remarkable nests. In winter Red-winged Blackbirds gather in huge flocks to eat grains with other blackbird species and starlings.